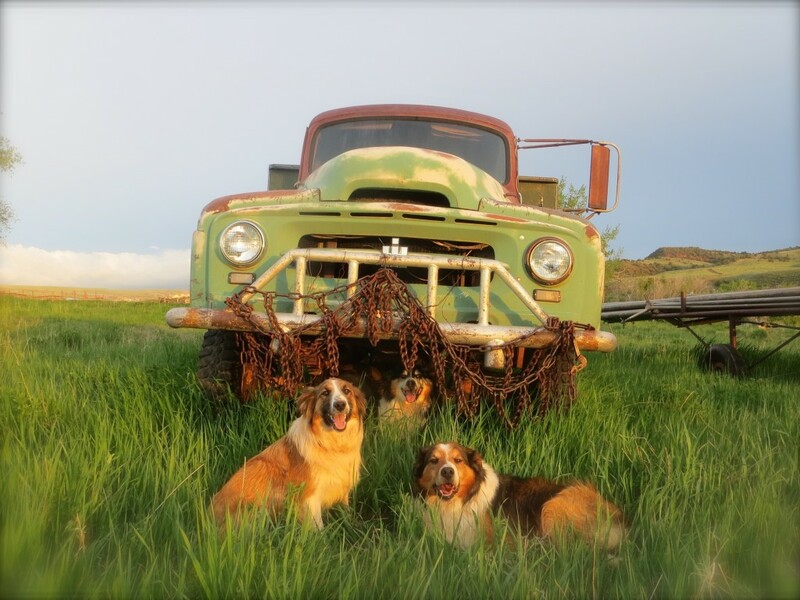 The old International pickup with ornaments “under the hood”. First Picture: The lighting is perfect! 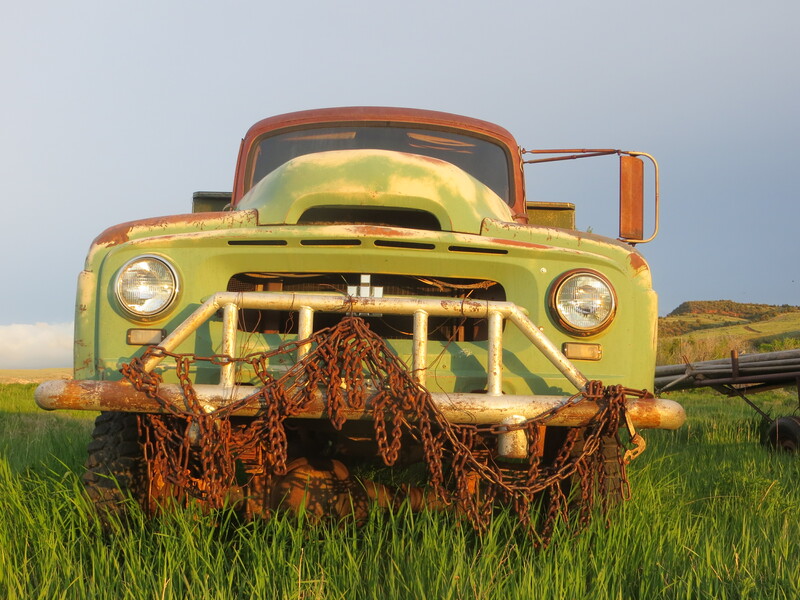 It really pulls the subject matter together – the lime green truck, darker green grass, and rusty chains. Then I saw the Second Picture and think you should submit it for the 2016 ES Calendar. Lucas, Dally, and Eden are all so focused and complement the colors around them. What an eye you have for beauty. And a couple of English Shepherds couldn’t hurt.